It’s pretty rare for a lower 48 musician to release an album and immediately be playing a show in Alaska. In fact, I bet this is a first, but that’s exactly what happened this week with the full length debut from Sallie Ford and the Sound Outside. On Tuesday, they released Dirty Radio with lots of deserved praise. I started hearing some buzz about them early this year, mostly because I try to keep my eye on the Portland music scene. When listening to Dirty Radio, a strange sensation of both feeling like it’s something new and something classic at the same time. It’s retro with an edge. Unique to today’s landscape with shades of 50’s and 60’s pop music with a little Regina Spektor or Thao Nguyen mixed in. Dirty Radio is definitely worth adding to your collection. 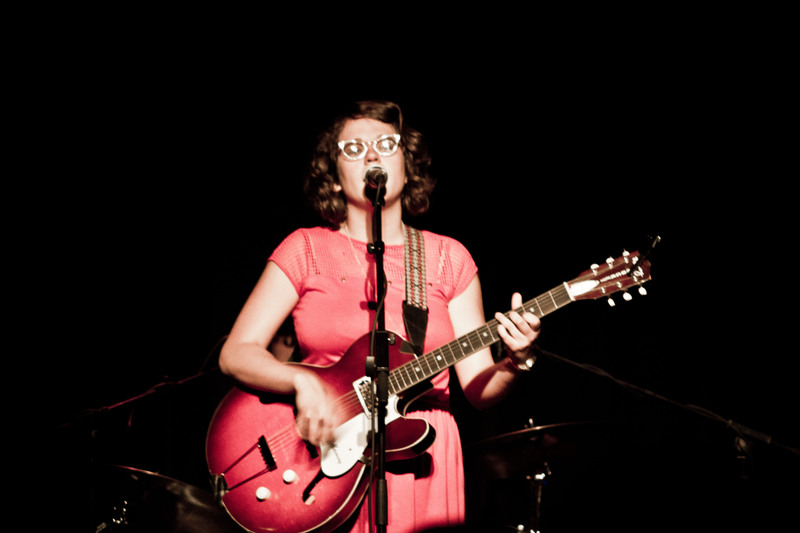 Sallie Ford & the Sound Outside – I Swear from Matthew Ross on Vimeo. I happened to see a Brandi Carlile Facebook post mentioning she was playing Anchorage and when I clicked the link to Whistling Swan, I saw that Sallie Ford was playing Snow Goose. Putting the pieces together it looks like they were previously booked for the Trapper Creek Bluegrass festival and were looking for somewhere else to play while they were up here. I’m grateful that they came to town and the show was pretty fantastic. Sallie has just the right amount of goofy to offset how seriously she takes her songs when she’s playing them. The band is solid, too. SALLIE FORD – “Rock & Roll” from More Dust Than Digital on Vimeo.